Properties in Sendvario seniūnija average 4.5 out of 5 stars. 50 m2 two rooms nice and comfortable apartments with big balcony! 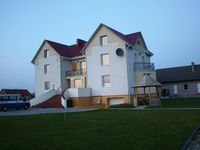 Property 4: 50 m2 two rooms nice and comfortable apartments with big balcony! Just Good Apartment is Klaipeda welcomes you! Property 14: Just Good Apartment is Klaipeda welcomes you! A cozy apartment located in the quite area near the city center. Property 19: A cozy apartment located in the quite area near the city center. Excellant! Large hoiuse close to Palanga. Clean huge house was perfect for our family of 15. Only a few miles from Palanga. Would definitely stay there again.